A Touch of Ink offers computer lettering using Epson Stylus Color printers with DuraBrite Ultra water resistant ink. It is an affordable alternative to hand-lettered calligraphy. May popular font styles are available. Samples on the website will be coming soon. 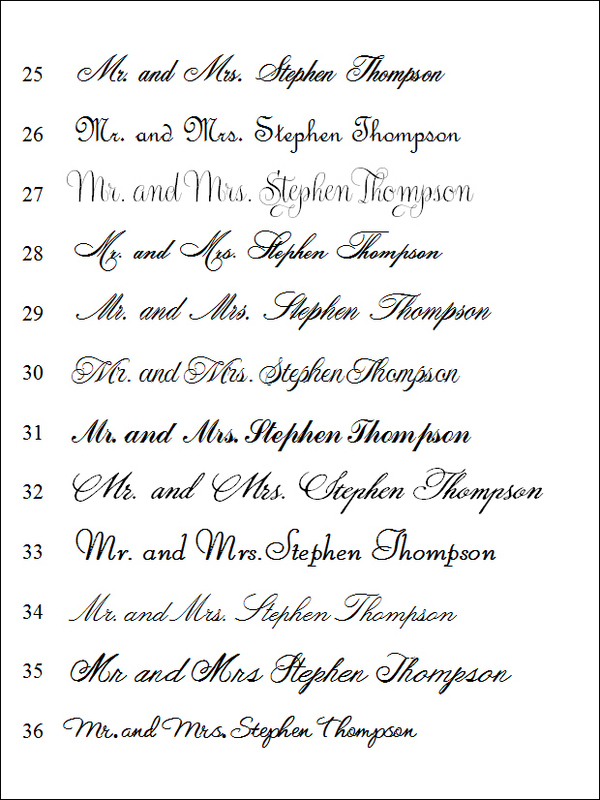 Below is a sampling of the some script fonts. 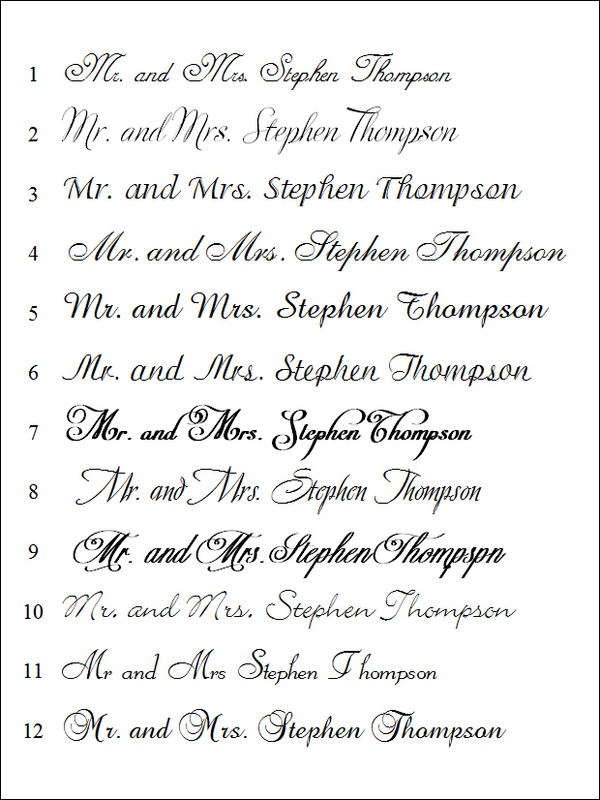 If you do not see the one which matches your invitation, please provide Joan with the font name used on your invitations. We have a number of print font available, too. 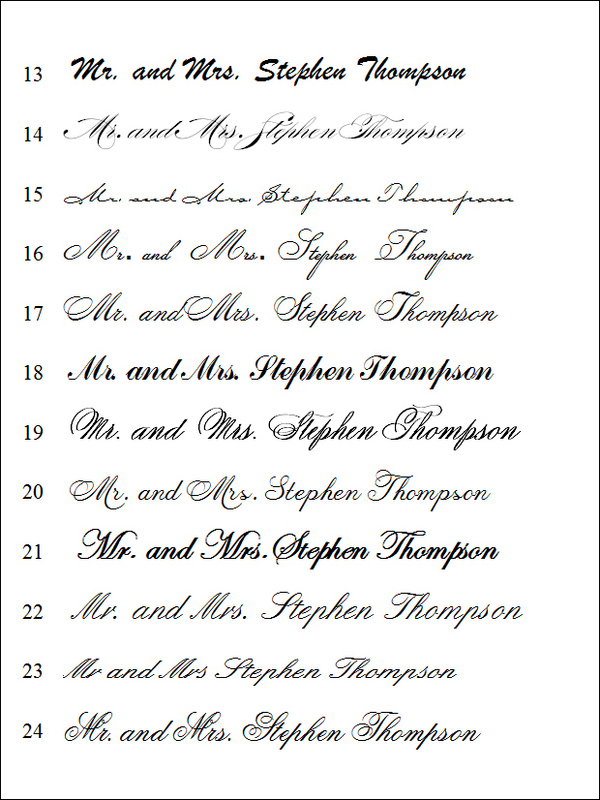 More Script Fonts on the Next Page.